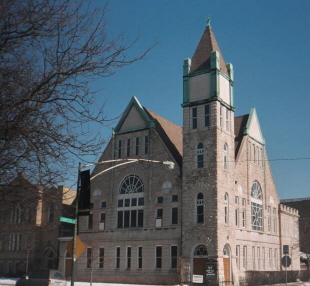 On Sunday we moved to our new space at Ravenswood Fellowship United Methodist Church, 4511 N. Hermitage Avenue. A break from snowfall, a sunny sky and everyone pulling together made it all go smoothly. Thank you to all the wonderful people at RFUMC who made this possible and have welcomed us so warmly, as well as to all the volunteers who turned out on Sunday afternoon. We’re still getting organized and putting things in place, but our doors are open 2–5 pm on Sunday if you have paperback books or other materials you’d like to drop off.